After 17 overs, score is 120-2, what sort of T20 are these? I can understand if the score was 120-6, or 150-2 .... but 120-2!!!!!!! I know the pitch is poor, very much similar to UAE tracks. And single venue tournaments doesn't help either. Last edited by MenInG; 16th December 2018 at 13:19. 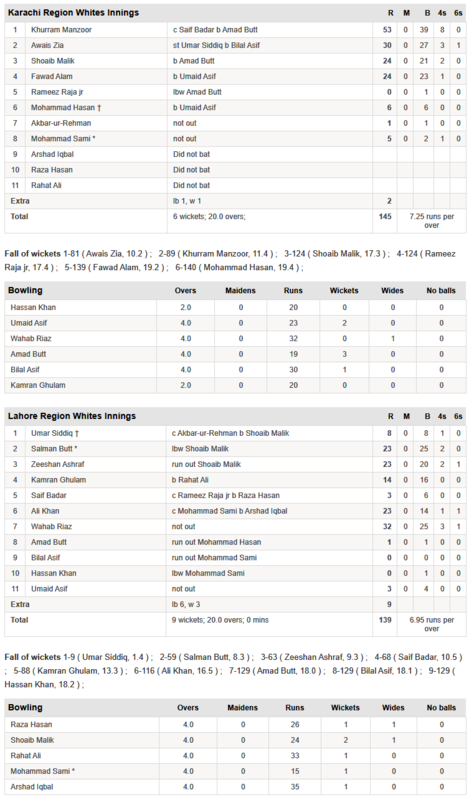 Zeeshan Malik and Mohammad Hafeez playing for Multan today. 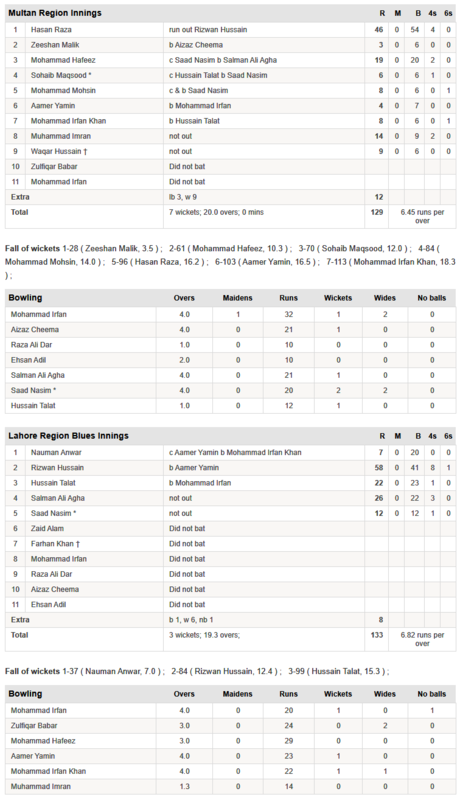 Hussain Talat back for Lahore Blues. Great to hear ZM and HT are playing. Btw pitches have been on the slow side this year which is a shame. Hasan Raza looking good. Not sure why he is insisting on playing the reverse sweep though when there is a fielder covering that exact spot. Good that he has the reverse sweep in his locker but needs to learn to play the field. This is where KP was so good; contrary to what a lot of people think he actually thought about his game and only played reverse sweep/switch hit when the field suited it. Will there be a team from Karachi in the national t20 Cup next year?